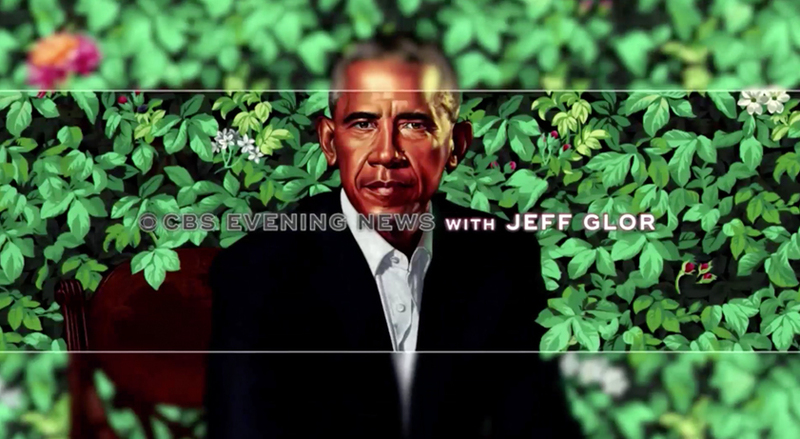 After retaining the boxy look used since 2015 through a series of redesigns, “CBS Evening News” dropped the look in favor of fullscreen imagery accented with typography. The new open, which debuted Monday, Feb. 12, 2018, still uses the same theme music but drops the square shaped frames in favor of imagery that covers the entire screen. At the top of the broadcast, animated typography is used to showcase the newscasts’ name, including a oversized outlined of the letters “CBS” that transition to become the show’s logo parked in the lower left of the screen. Also mixed in are blurred layering effects and thin lines, both of which also appeared in the previous version of the open and have been prominent design elements for the newscast dating back to 2015. Between teases, which use the lower third insert graphics that debuted when Glor took over Dec. 5, 2017, a mix of red and blue graphics with map backgrounds and the words in the show’s name are used as transitions. Following the teases, a series of fast paced cuts feature a collage of imagery from the day’s news. While the announcer’s voice remains the same, the broadcast opted out of a formal title card Monday and Tuesday, but did add one Wednesday, though it’s not clear if this a permanent fixture. In addition, Glor no longer stands with the off axis shot of the video wall at the top of the broadcast. 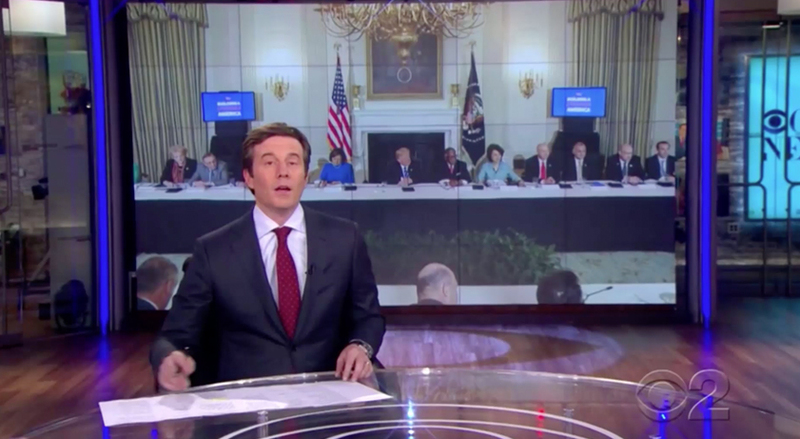 Instead, he is seated at the circular anchor desk with another of the studio’s large video walls used as an OTS element.